Today most countries rely on formally organized welfare programs - in some cases to the extent that they are labeled "welfare states". These programs, which have been constructed over the last decades, make up a larger national and international system of good intentions. Overall, it appears inconceivable to imagine "civilized society" without a comprehensive organizational system of social welfare. Social welfare has become a "holy cow" in many societies; an institutionalized aspect of modern life. 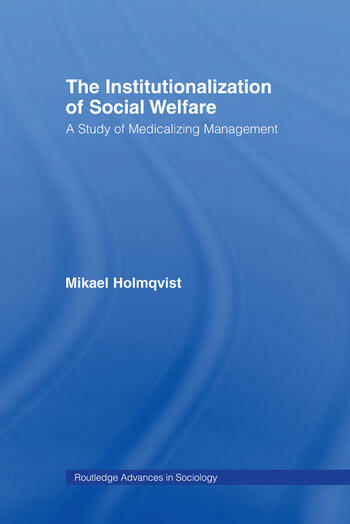 But how does the institutionalization of social welfare occur through the concrete activities it enacts; and why does the institutionalization of social welfare appear to be so particularly successful in relation to other institutionalizing phenomena? These are central problems for any sociological analysis of contemporary society’s organization and are the main locus of attention of this book.